New York and LA. Two cities on opposite coasts, locked in an eternal struggle to look cooler than the other. And we all know the only way to settle matters is at the bar. We asked a handful of bartenders from each coast about the highball, that simple and refreshing cocktail anyone can make -- even if they don’t have bartender expertise. But just in case, we got some recipes from the people who do so you make one perfectly to impress your friends… and make the ones across the country jealous. If you want to impress in NYC, be resolute. This town doesn’t have time for your hemming and hawing. It’s all about movement and action. That echoes the observations from your local watering hole. 1. 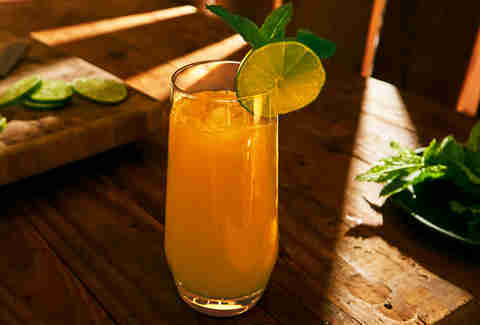 Pour rum and liqueur into a chilled pint glass, quickly stir with a spoon, and add ice. 2. 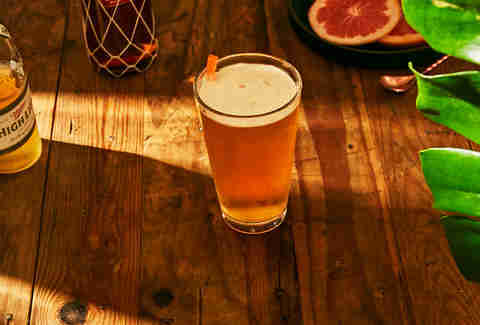 Zest a grapefruit twist over the drink. 3. Top off with beer. In a city that never stops moving, this is a drink that buys you a little extra time to yourself. “You will have extra beer to add to the cocktail as you drink it,” McCoy notes. “The idea is it’s a thirst quencher and you are diluting it as you drink it, therefore you can have more than one.” Sounds perfect for summer. Zach Zoschke, bartender at LA’s Prank says similar. “In my opinion people don’t order highballs enough. When a guest orders one, I immediately assume they are a no-nonsense, to-the-point drinker: they want a drink with minimal additives, presented to maximize the flavor of the base spirit. Not unlike those early old-fashioned drinkers, before it became something of a fad to order one. Two ingredients, ice-cold, and refreshing.” Turns out what’s true in the east holds up in the west. Must be a big city thing. But of course, there needs to be some of that famous LA-idback attitude on the West Coast version of this cocktail. For that, turn to Aaron Melendrez of Va’ La Hospitality. Melendrez’s view of the drink may be chill, but no less ambitious. If you fancy yourself a mixologist, break out your soda siphon and get ready to do some home carbonation. Starting the night before make some Moroccan mint tea, whose sweetness will balance the herbal flavors. 1. Add all ingredients to boiling water. 2. Stir and let steep for 15 minutes. 3. Strain with tea strainer or fine strainer. 4. Refrigerate overnight. The colder the better to help with carbonation. 1. Put an 11-12 oz collins glass in the freezer for 20 minutes. 2. Add tea to iSi soda stream and double carbonate. 3. Shake well, let sit for a few minutes. 4. Mix all ingredients except tea and garnishes. 5. Add ice cube and stir for five seconds. 6. Top with 4 ounces carbonated Moroccan mint tea from an iSi soda siphon. 7. Give one quick stir. 8. Garnish with a lively mint bundle and a lime wheel. Ingredients aren’t the only thing that make a highball memorable. For Ariel Suarez of Chelsea’s Bathtub Gin, the cocktail transports him from NYC back to his youth. There’s no question the drink can be a tour of the world. For a transcontinental take, turn to Alli Torres, bartender at Refinery and lead bar consultant at midtown’s Jams, where the heart of NYC dishes up California cuisine. 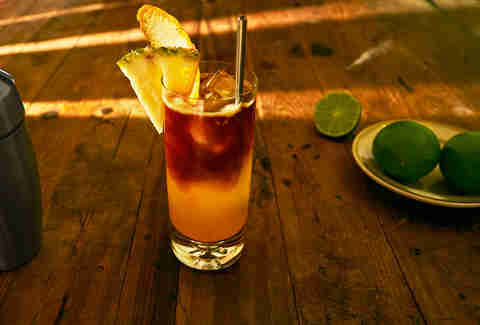 Her recipe uses local ingredients (very local in the case of the honey) to create a surf-friendly tiki drink. “We source our spirits thoughtfully in addition to the seasonal ingredients we shake into them,” says Torres. That’s how you get to sip on a drink using NYC rooftop honey infused with the restaurant’s favorite local hot sauce, Shaquanda. While you may not have access to your own apiary, you can order NYC honey to keep true to the recipe below. 1. 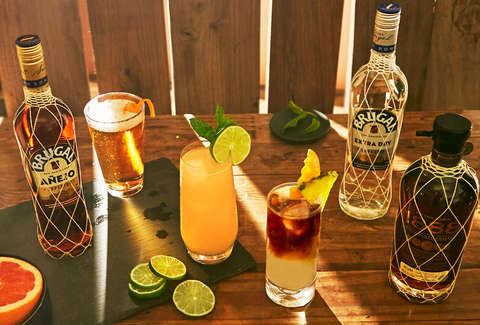 Mix all ingredients except soda and Brugal 1888 in a shaker and shake hard. 3. Top with pineapple soda almost to the brim. 4. Float Brugal 1888 atop to seal the sweetness in. 5. Repeat if necessary, which Torres highly recommends. As you can see, the highball might have a simple form, but like these fashionable cities, it dons thousands of outfits to look good and see where the evening takes you. As Karla Flores, bar director at Wolf & Crane, says, the highball is “an amazingly refreshing drink” that’s suitable anytime. And perhaps its universality (and flexibility) is what makes it so great. It’s for everybody from NY to LA, not just the aficionados. "Some highballs may get a bad rap among the cocktail nerds,” Jackson says. “But highballs are important and essential to the art of making drinks. Plus we all end up ordering them at some point of our life -- or the night."